Durable metal frame and strong plastic temples. 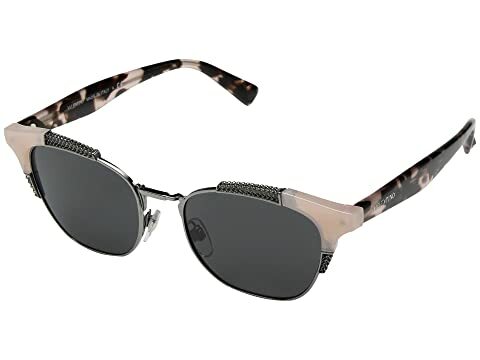 Smooth plastic lenses offer 100% UV protection with a playful cat-eye decor accentuated by chain-link hardware detail. Gold-tone hardware piece at each arm tip. We can't currently find any similar items for the VA 4027 by Valentino. Sorry!